Meteorologist Chris Dunn is the Flying Weatherman. He is an award winning television broadcaster with 30 years of on-air experience. He also has “in-air” experience, as he is an instrument rated commercial pilot, having passed his first check ride in 1997. Chris has taught aviation meteorology at Westminster College in Salt Lake City, Utah, combining his knowledge of meteorology and love of aviation. 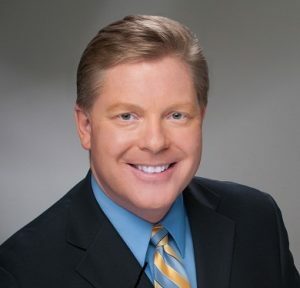 In 2005, Chris became one of the first television meteorologists in the country to achieve the prestigious Certified Broadcast Meteorologist designation from the American Meteorological Society. That same year he won AOPA’s Max Karant award for excellence in aviation journalism for a television news story he did on Angel Flight. He currently holds a BA in broadcasting from California State University, Chico and a MAS in Aviation Safety from Embry-Riddle Aeronautical University. Chris is a past member (and a mission pilot) for Angel Flight and a member of NAFI, the National Association of Flight Instructors. He also spent time flying with the Civil Air Patrol .